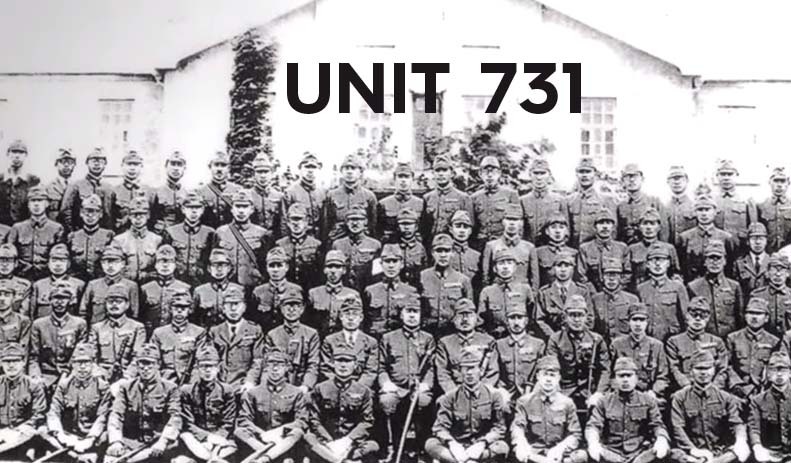 Unit 731 (731部隊 Nana-san-ichi butai, Chinese: 731部队) was a covert biological and chemical warfare research and development unit of the Imperial Japanese Army that undertook lethal human experimentation during the Second Sino-Japanese War (1937–1945) and World War II. It was responsible for some of the most notorious war crimes carried out by Japanese personnel. Unit 731 was based at the Pingfang district of Harbin, the largest city in the Japanese puppet state of Manchukuo (now Northeast China). It was officially known as the Epidemic Prevention and Water Purification Department of the Kwantung Army (関東軍防疫給水部本部 Kantōgun Bōeki Kyūsuibu Honbu). Originally set up under the Kempeitai military police of the Empire of Japan, Unit 731 was taken over and commanded until the end of the war by General Shiro Ishii, an officer in the Kwantung Army. The facility itself was built between 1934 and 1939 and officially adopted the name “Unit 731” in 1941. Between 3,000 and 12,000 men, women, and children – from which around 600 every year were provided by the Kempeitai – died during the human experimentation conducted by Unit 731 at the camp based in Pingfang alone, which does not include victims from other medical experimentation sites. Almost 70% of the victims who died in the Pingfang camp were Chinese, including both civilian and military. Close to 30% of the victims were Russian. Some others were South East Asians and Pacific Islanders, at the time colonies of the Empire of Japan, and a small number of Allied prisoners of war. The unit received generous support from the Japanese government up to the end of the war in 1945. Many of the researchers involved in Unit 731 went on to prominent careers in post-war politics, academia, business, and medicine. Some were arrested by Soviet forces and tried at the Khabarovsk War Crime Trials in 1949; most remained under American Forces occupation. These researchers were not tried for war crimes by the Americans so that the information and experience gained in bio-weapons could be co-opted into the U.S. biological warfare program.